Food contamination. Many disease outbreaks related to food are caused by improper care of meat products. There is also the recent case of cantaloupe that had Listeria monocytogenes. This particular case caused more than 580 cases of cantaloupes to be recalled due to sanitary conditions or lack thereof. It seems being successful in the food business has taken precedence over consumers’ health and safety. Despite the policies that have been put in place all over the world to ensure that everyone stays safe when handling and eating food, they are falling on deaf ears. This is why more drastic measures need to be taken. 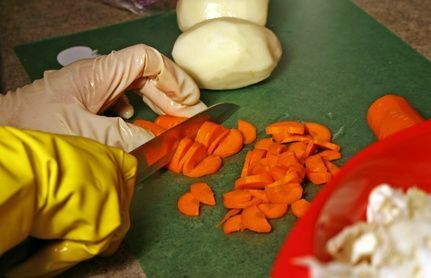 Basic food safety and handling needs to be taught in schools. Food companies also need to ensure screening of bacteria to prevent any diseases from spreading. The Food and Drug Administration has its work cut out for them and need to rise up to the challenge. Otherwise all food articles being posted will continue to be on outbreaks. It is time for the preventive measures to be taken rather than the curative ones.